An extra year's peace of mind. Our products are built to last. However, the extended warranty means that you have another 365 days with nothing to worry about should a problem occur. Simplicity. Give yourself the gift of an additional year's warranty. Simply register your product within ten days of purchase. The extension will take over from the standard warranty once this expires. Register your instrument on www.registermyplancare.com, and we will take care of the rest. How to activate your plancare? and complete your registration within 10 days of purchase. Retain sales receipt as proof of purchase. Date is required for warranty service. 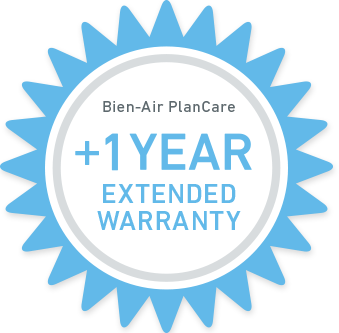 Terms and Conditions PlanCare coverage becomes effective upon expiration of Bien-Air's standard warranty. The warranty must be signed and sealed by the authorized signatory. Valid only if registered online by Buyer within 10 days of purchase. Receipt of product covered by PlanCare must be retained as proof of purchase. PlanCare covers material and manufacturing defects set forth in Terms and Conditions of Sale and Warranty (www.bienair.com/TermsOfUse). The competent court for disputes is Bienne, Switzerland.